Not only does poor blood circulation pose the possibility of significant health problems, but it also affects the appearance, particularly for aging skin. It can cause uneven, blotchy skin, especially in the face. Increasing facial blood circulation can improve the complexion and provide a more youthful look. Drink water. This is nothing you haven't been told before, but drinking water is crucial for a number of body functions, especially those of the skin. Water plays a major role in healthy blood circulation and is extremely important for maintaining healthy, young-looking skin. If you're not drinking the standard "eight glasses per day," start now, and notice the benefits of clarity and evenness that water delivers to the skin. Quit smoking and drinking. Both of these habits are direct causes of poor blood circulation and, therefore, greatly affect the complexion. Smoking cigarettes and drinking alcohol weaken the connective tissue by depleting it of oxygen and nutrients, which thins and weakens blood vessels and causes them to appear at the surface of the skin. 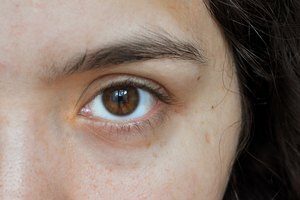 This is the reason many heavy drinkers and smokers have red, blotchy skin and broken capillaries. Exercise. Increase blood circulation by becoming more active. Even light activity, such as walking around the block a few times, will improve blood flow, and improve the skin's appearance. Obviously, heavy exercise will increase these effects. Yoga is an effective way to improve blood flow while receiving other health benefits. Improve the diet. Make sure you're eating a balanced, healthy diet (i.e., the opposite of fast-food), and keep cholesterol and saturated fat at a minimum, as these things poorly affect blood circulation. An unhealthy diet will hinder the aforementioned steps. Include an adequate amount of vitamin C in the diet, since vitamin C helps maintain the tone of blood vessels and promotes good circulation, in addition to its other skin benefits. Aloe vera juice is a great source of many nutrients and vitamins, including vitamin C, that benefit the skin and improve circulation. Include retinoids in your daily skin care regimen. Retinoids are a form of vitamin A (an important vitamin in skin care) and are often used in anti-aging skin care treatments because they help fight wrinkles, tighten the skin and promote collagen production. Retinoids are also effective for delivering a more youthful look because they significantly improve blood circulation, and even promote the creation of new blood vessels. Consult your dermatologist to find out which retinoid products would be most effective for your skin type. Use skin care products that have pycnogenol. Cosmeceuticals describe cosmetic products (usually derived from natural ingredients) that claim to have therapeutic benefits for the skin. Pycnogenol is a common cosmeceutical ingredient in anti-aging skin care, since it improves blood circulation and promotes collagen production. Consider light therapy. If the face is showing visible signs of aging in ways beyond an uneven complexion (wrinkles, dryness, discoloration caused by sun damage), there are a variety of light-therapy treatments to improve the skin. Red and infrared light therapy are forms of treatment used for cosmetic anti-aging purposes. It works by using photons (light energy) to penetrate the skin surface and "kick start" the cells and cellular processes beneath, triggering new cell generation and improving blood circulation to deliver smoother, more radiant skin. Blue-light therapy can also improve circulation while treating acne. Light therapy's efficacy for improving blood flow and soft-tissue conditions was shown by NASA in 2003 and has since been used by an increasing number of chiropractors, physical therapists and other medical practitioners to expedite healing by improving cellular functions.